An article by Prof R R Kelkar entitled “The Music of the Monsoon” has been published on 8 September 2017 in the IAPT-IISER journal Physics Education. Click on the link to read. 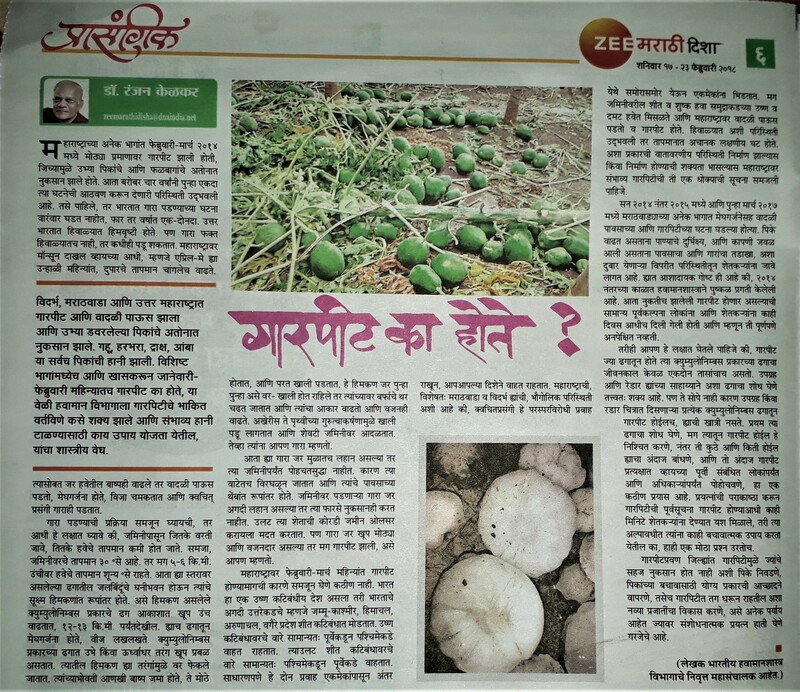 An article in Marathi entitled “Monsoon Samjoon Gheuya” by Dr Ranjan Kelkar was published in the newspaper Agrowon dated 29 June 2017.